I learned this morning that leadership of The Church of Jesus Christ of Latter-day Saints (the largest Mormon denomination and that in which I am a member) has chosen to prohibit the Church from baptizing or blessing minor children of gays, and to require adult children of married gays to disavow their parents' marriage before the Church may baptize them. While I love and support the Church and its leaders, I disagree with these new policies. Here are my reasons. First, the new policies do not reflect my understanding of Christianity. In the Bible, we read that multitudes followed Jesus from Galilee to the coasts of Judaea beyond Jordan, and he healed them there. His antagonists also came to him, challenging his moral authority. They asked about the morality of divorce. He told them there are usually better alternatives. His disciples joined in the questioning, asking him about the morality of marriage generally. He told them hard things. Then the disciples noticed some in the multitude bringing children to Jesus, asking that he would bless the children. Perhaps the disciples were aggravated by the antagonistic challenges to their leader. Maybe they were disoriented by his hard answers to their own questions. Whatever their reasons, the disciples rebuked the children. But Jesus said, "Suffer little children, and forbid them not, to come unto me: for of such is the kingdom of heaven." Jesus laid his hands on the children. Then he departed. The Bible does not say he returned to respond further to his antagonists about divorce. Nor does it say he returned to answer further questions from his disciples about marriage. It doesn't say he asked questions about the religious status of the children or those who brought them from the multitude. It says only that he blessed the children and departed. The Christianity that inspires me would follow Jesus' example. Its willingness to bless children would not be contingent on perspectives about marriage or divorce or on religious status. Second, the new policies do not reflect my understanding of Mormonism. One of my ancestors, George Q Cannon, was an Apostle of the LDS Church for many years. He also served as a counselor in the presidencies of Brigham Young, John Taylor, Wilford Woodruff, and Lorenzo Snow. During those years, he spent periods of time in hiding and in prison for practicing a controversial form of marriage. "In some minds there seems to be an idea that there should be a different form of blessing for children born of non-members and for those who are identified with the Church; and it is from such sources that in the case of children belonging to members of the Church 'the blessings of Abraham, Isaac and Jacob' and all the attendant favors are frequently conferred upon the child. This is all wrong. If we take the example of our Lord and Redeemer, who is our pattern and whose example we cannot too closely follow, we find that He blessed all who were brought to Him. We have no hint that He asked whose children they were, or the standing or faith of their parents. His remark was, 'Suffer little children, and forbid them not, to come unto me, for of such is the Kingdom of Heaven;' and He laid His hands upon them and blessed them. All little children, no matter what their parentage may be, are innocent in the sight of heaven, and they should be received as such and blessed as such." I suppose George, while explicitly mentioning Jesus, may also have been thinking of Joseph Smith, the founding prophet of Mormonism. Like George, Joseph spent periods of time in hiding and in prison for practicing a controversial form of marriage. On one occasion, Joseph dictated for the Book of Mormon that "little children are whole, for they are not capable of committing sin." For this reason, Mormons have reserved baptism to persons with meaningful moral agency -- traditionally children eight years of age and older. On another occasion, when asked for a summary of Mormonism, Joseph observed that everyone would be "punished for their own sins, and not for Adam's transgression." In other words, he believed God would not punish anyone, a child or otherwise, for the behavior of her ancestors. And Joseph listed this aspect of Mormonism as the second item in his summary, after only belief in God as the first item, and before even belief in the Atonement and Gospel of Christ as the third and fourth items. The Mormonism that inspires me would champion meaningful moral agency. Its willingness to baptize a morally-aware child would be contingent only on the behavior of that child. For the same reasons, its willingness to bless a morally-naive child would not be contingent on anyone's behavior, even when that behavior includes controversial marital practices. Third, the new policies appear to me to be unnecessary on practical or legal grounds. Church policy already precludes baptism of minor children without the consent of their legal guardians. This protects the Church legally, and it's also consistent with the Church's practical interest in fostering strong families both inside and outside the Church. However, the new policies would also preclude both baptism and blessing of minor children, even when their legal guardians consent, if their legal guardians happen to be gay. I don't know of any legal motivation for this in the United States. And on the practical side, this seems detrimental rather than beneficial to fostering strong families. Now, instead of allowing a parent to support her child in the desire to be baptized, and instead of supporting parents that desire the Church to bless their children, the Church risks promoting unnecessary resentment in several ways. The child who desires to be baptized may resent the Church for its policy and the parent for her homosexuality. 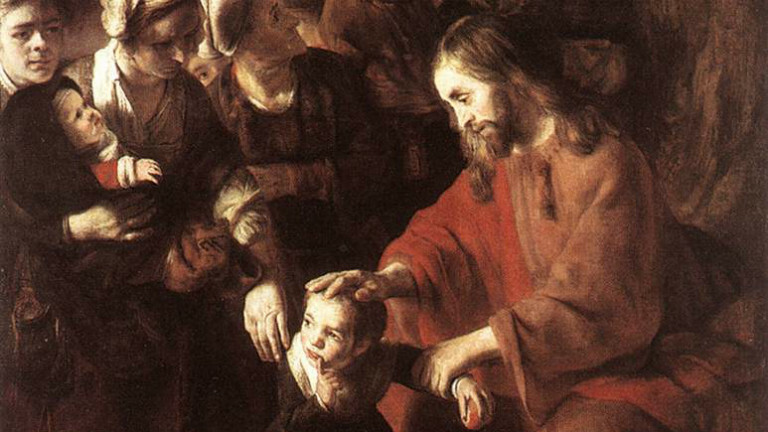 The parent may resent the Church for its policy and the child for her desire to be baptized. And of course resentment may cascade from there to other family members, to friends, and to Church leaders obligated to adhere to the policies. If Church leaders simply have renewed concerns about the practicality of baptizing or blessing children of disapproving parents, they could have assertively reminded Church members of the general policy against such decisions. They could have done this without focusing on just one of many possible cases of disapproving parents. They could have done this without explicitly extending the policy to exclude just one of many possible cases of approving parents. That's not what happened. Fourth, the new policies feel wrong to me. For what it's worth, these new policies just feel wrong to me. I may be a fool. I may be possessed by demons. Expressed less dramatically, I may just be out of touch. But I don't think so. With whatever wisdom or inspiration I might have, I feel these new policies are wrong. This observation might seem rather weak from an outsider's perspective. But it's not so from a Mormon perspective. As Mormons, when faced with challenges and uncertainties, our common aspiration is alignment of minds and hearts. For us, it's not enough, in such situations, to merely understand, as it would not be enough merely to feel. We recognize dangers in the absence or excess of either. So it's with emotions, and not only reasons, that I pray for my Church and my people, our culture and heritage, and their meaning in the lives of so many of my family members and friends. It's with compassion that I pray for gays and their children and parents and families, Mormon and otherwise. And it's with confidence that I pray for a better world. Whatever our differences of opinion might be in regards to the new policies of the LDS Church, and whatever our respective shortcomings might be, I trust you and the leaders of the LDS Church pray with me.